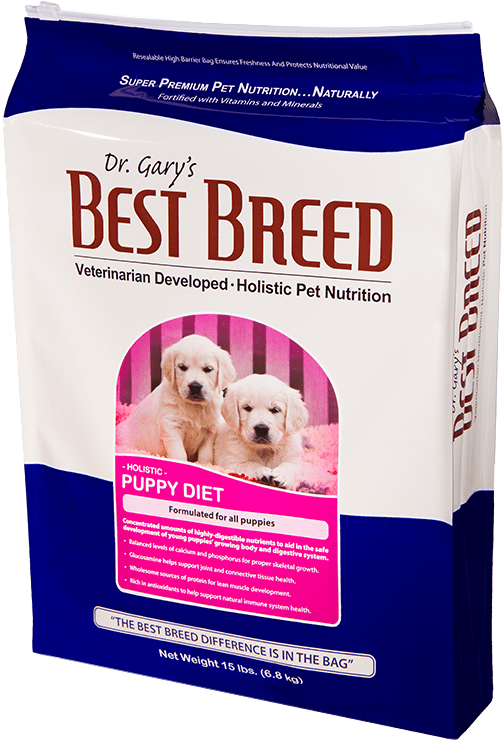 Formulated with proper amounts of protein, fat and carbohydrates, along with balanced levels of calcium and phosphorus, to give all puppies the nutrition needed for optimal growth and development. 3.) Promote healthy gastrointestinal functions. EPA and DHA from wholesome menhaden fish oil, promote healthy development of the brain and nervous system. To help ensure your puppy’s nutritional safety, Best Breed pays a premium for EU-approved natural ingredients. Further, Best Breed only uses ethoxyquin-free sources of fish and chicken raised without antibiotics and added hormones. Best Breed Puppy Diet is formulated to meet the nutritional levels established by the AAFCO (Association of American Feed Control Officials) Dog Food Nutrient Profiles for all life stages. 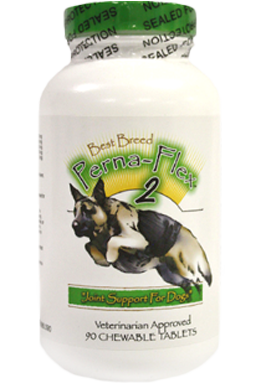 This formula will benefit puppies and dogs of all sizes. Feeding your puppy a high-quality and balanced diet is probably the single most important thing you can to do to help promote his or her healthy growth and development. 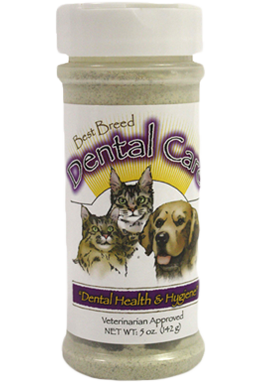 The Best Breed Puppy Diet is specially formulated with proper protein and calcium levels. Further, it contains higher levels of fat content to ensure optimal energy levels. As a puppy’s digestive system is typically slow to develop, the Best Breed Puppy diet contains only high-quality, highly-digestible protein and energy sources such as low-ash chicken meal, eggs, fish meal and premium grains to aid in easy digestion and maximum nutrient absorption. Like all of Best Breed’s diets, the Puppy Diet was developed with the “common sense” idea that a healthy puppy begins with a truly super premium food, made with only the highest-quality ingredients. 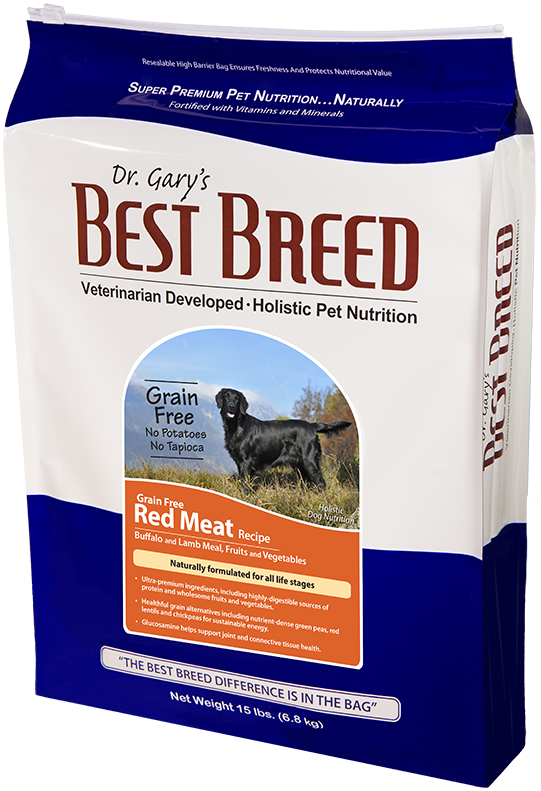 Please do not hesitate to contact me with questions regarding Best Breed’s Puppy Diet. Note: This is only a guide. Optimal feeding amounts may vary based on your puppy’s activity level, age, breed and environment. Best Breed Puppy Diet is formulated to meet the nutritional levels established by the AAFCO (Association of American Feed Control Officials) Dog Food Nutrient Profiles for all life stages.